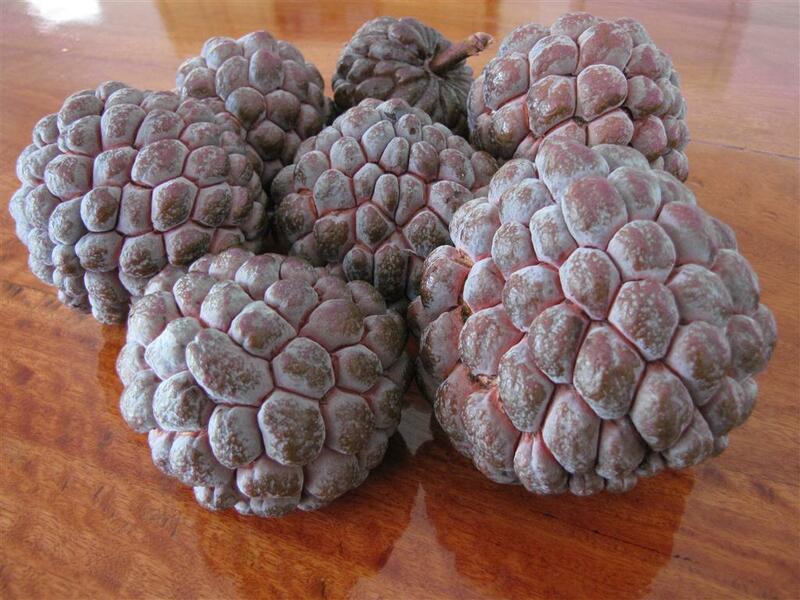 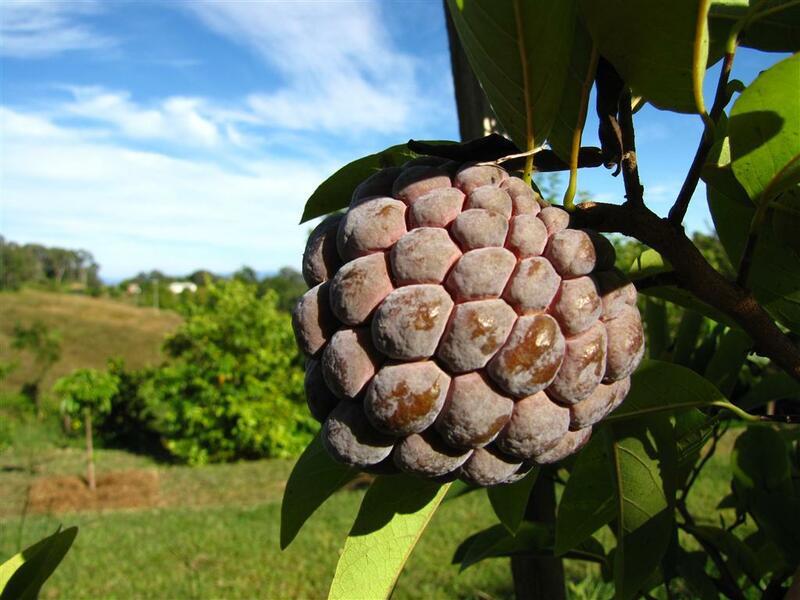 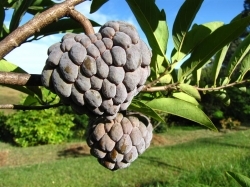 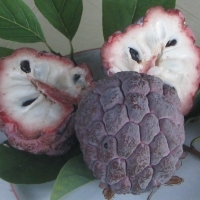 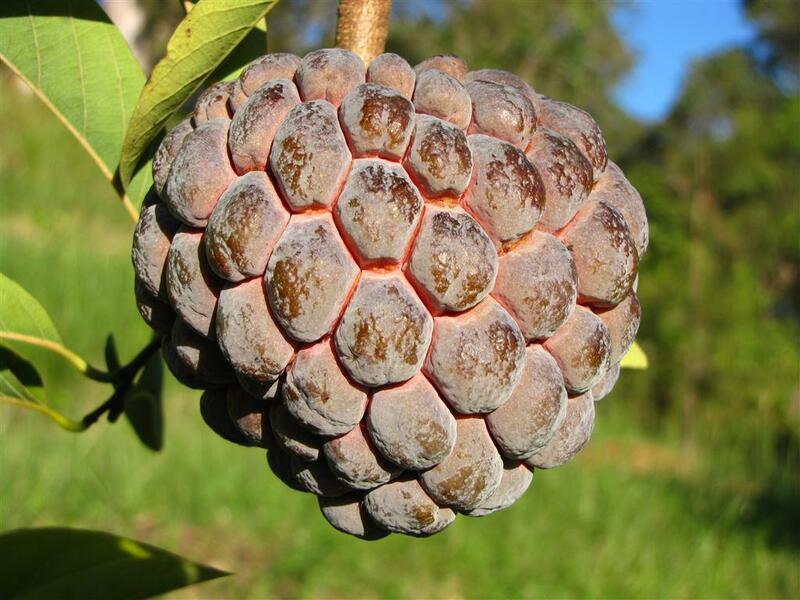 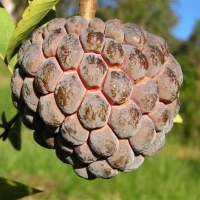 The sugar apple is an interesting tropical fruit that has succulent segmented flesh that is creamy-white. 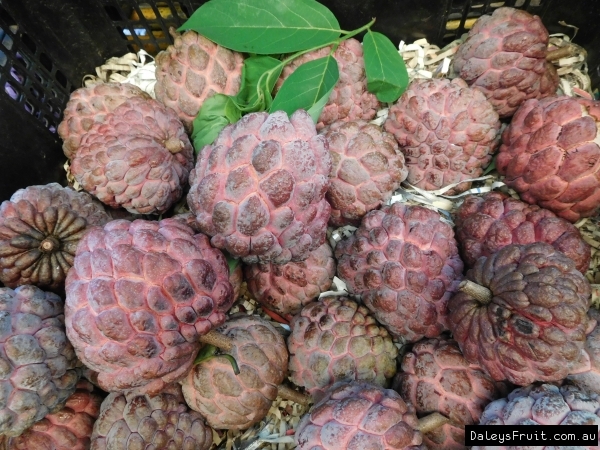 This selection has an attractive red skin and will bear from seed within 2 years. Delicious eaten raw (preferably chilled), in fruit salads, ice creams and drinks.